Discover the Forest this Weekend: Learn More at #ForestChat Today at 1pm! Starting school has only made me realize how much my kids love the outdoors. You don't realize how much time you're out there all summer until that time is eaten away by school, practice, lessons and the general busyness that accompanies back-to-school. So, it's important to MAKE time. And this weekend is the perfect opportunity! National Public Lands Day is tomorrow, 9/26, and it's a great time to explore your local #Naturehood. What's a Naturehood? 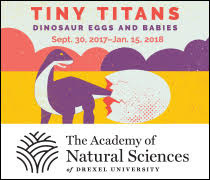 Those special places - whether they are in your neighborhood or a nearby park or trail - where you and your family can get out and explore all that nature has to offer. Our favorite #Naturehood is Hawk Mountain Sanctuary. It's about an hour and a half away from us, but worth the drive. 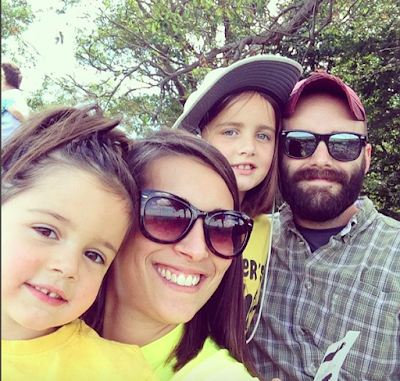 As a family we love to hike the terrain and help spot hawks at the North Lookout! I'm hoping as the girls get bigger, they'll be able to take on some of the harder trails for even more outdoor fun. Forests are magical places. It’s easy to forget that as you age- the world around you can begin to feel more and more ordinary. Find your local #Naturehood by visiting discovertheforest.org today. It’s time to reclaim your child’s imagination. Learn more about exploring your local Naturehood during today's Twitter Chat! 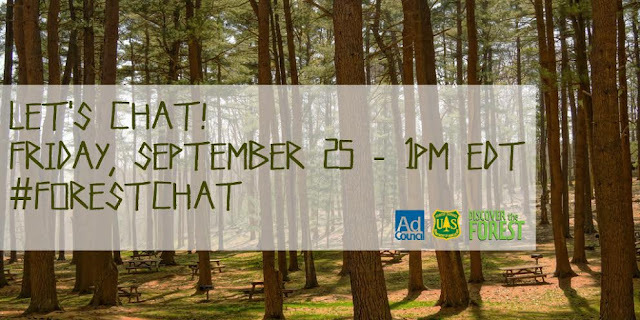 Join @Cheecker for a fun Twitter Party celebrating National Public Lands Day with the US Forest Service at 1pm ET on September 25th. Follow #ForestChat to join the conversation. Have fun this weekend - get out and ENJOY!